On Monday jury selection began for a truck driver charged with first-degree murder in the cold case of Berit Beck in Fond Du Lac, WI. Beck was reported missing in July of 1990 on her way to a computer seminar and despite massive search efforts, her body wasn’t found until six weeks later in a ditch outside of Waupun. 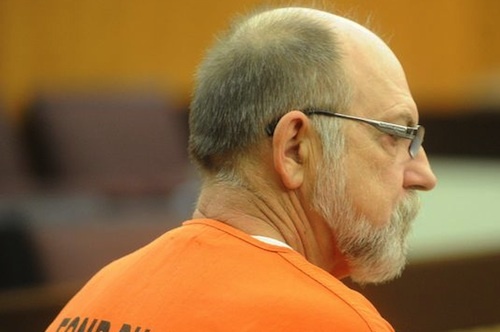 Her killer remained a mystery and her case went cold until 2013, when the State Crime Lab matched fingerprints inside her vehicle to 62-year old truck driver, Dennis Brantner. Dennis J. Brantner of Kenosha had worked as a long-haul truck driver since 1979 and had ties to the Fond du Lac area. He had a job driving for a trucking company in Fond du Lac County, had also worked for another trucking company in Ripon and had lived in Green Lake, about 30 miles away, just prior to Beck's disappearance. In 2013, cold case detectives matched five previously unidentified fingerprints discovered in Beck's van to Brantner. When they drove to Kenosha to interview him about the unsolved murder, he denied ever being inside Beck’s van and also denied being in Fond du Lac at the time of Beck's abduction. "I swear. I did not kill her," Brantner told detectives during the interview. He was extremely emotional and cried several times when detectives confronted him with evidence that his fingerprints were found on a number of objects within Beck's van. Investigators say that Brantner’s fingerprints were found on the inside middle door window of the van and on a cellophane cigarette wrapper discarded under a passenger seat. Large piles of cigarette ashes were also found on the floor behind the front passenger seat and also on the floor to the left side of the driver's seat. Police say Brantner was a known cigarette smoker around 1990 and in1989 he had taken a Cadillac in Green Lake without the owner’s consent and put more than 900 miles on the man’s car, and also left large piles of cigarette ashes inside the vehicle. Detectives also interviewed three former coworkers at a Kenosha welding plant where Brantner once worked and they said he had kept a photo of a blonde-haired girl in her late teens inside his toolbox. The witnesses believe the girl in the photo was Berit Beck. Brantner's fingerprints were also found on a Burger King cup recovered from inside Beck's van, and detectives said they were able to determine that Beck herself had not stopped at Burger King on the morning of her abduction. She had frequented a McDonald's in Racine and the empty bag of food, plus receipt, were in the van. Brantner had told detectives that he never patronized Burger King but one of his ex-wives contradicted his claim and said that he liked to eat at Burger King. Last year, police had enough evidence to arrest Brantner and charge him with first-degree murder. Brantner’s defense team argues that the state's case is flimsy, and that evidence has been lost in the time since Beck's disappearance. The trial is scheduled to take about three weeks and Brantner could face life in prison if convicted of Beck’s murder. Fingerprints aren't solid enough to convict anyone of a crime. All it shows was that person was there at some point . It doesn't prove they committed a crime. True but if prints place a suspect somewhere they would have no reason to be and they deny being there, it's not good. Thawed. Unthawed would mean re-frozen. Yupp it was my uncles brother in law that found her. He lives right up the road. We used to drive down that road everyday when I was younger, my mom had a route in that area, and the smell was horrible. We all thought it was something the farmers were putting in their fields never would of thought it was a deceased body. https://psmag.com/why-fingerprints-aren-t-the-proof-we-thought-they-were-e870231c8447#.9l35ag8gu Just food for thought. Not for or against this guy. But need to look at all the facts. Unthawed is not a word. Then it would still be frozen.